Danny Glover isn't getting too old for this s*** yet, as he's just signed on for a role in Jumanji 3. Casting has been heating up for the sequel as production nears. The core cast from the previous movie, Kevin Hart, Karen Gillan, Jack Black and Dwayne Johnson, are all set to return and Hart recently revealed that filming will start in February. They're going to be joined by several new faces and the newest of those faces is Glover. According to a new report, the 72-year-old Lethal Weapon star has been tapped to play a currently undisclosed role In Jumanji 3, which doesn't yet have an official title. Danny Glover joins the recently cast Danny DeVito (It's Always Sunny in Philadelphia) and Awkwafina (Crazy Rich Asians). So far, no information has been released on any of the new characters. Dwayne Johnson had this to say about Glover's addition to the cast in a statement. "From Awkwafina to Danny DeVito to now one of my action heroes, Danny Glover, it's been awesome having so many actors and OG legends raise their hands wanting to come and play in our Jumanji universe. 'Who turns into who?' will always be the fun magic sauce for our audience." 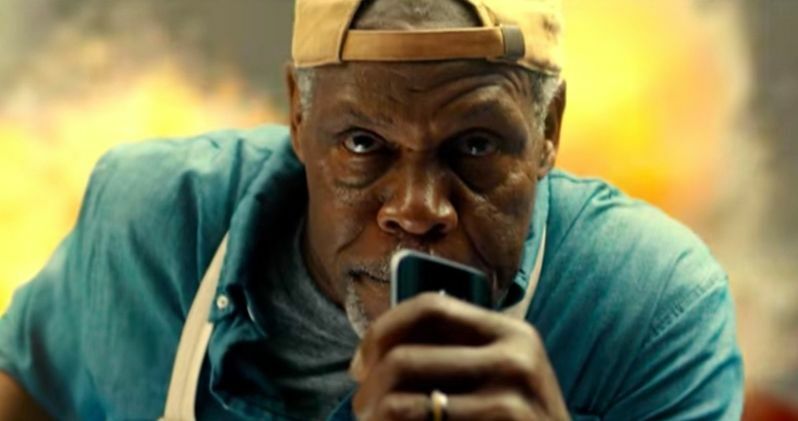 During his long career, Danny Glover has worked very steadily, having starred in movies such as The Color Purple, Predator 2 and last year's Sorry to Bother You, aside from the Lethal Weapon franchise, just to name a few. Glover also starred in Robert Redford's final movie last year, The Old Man & the Gun. But Jumanji 3 is easily his most high-profile project to come along in quite some time. At least until/if Lethal Weapon 5 actually winds up getting off the ground. Jake Kasdan is in the director's chair for the upcoming sequel. Kasdan was behind the camera for 2017's Jumanji: Welcome to the Jungle, which shattered any and all expectations by bringing in a staggering $962 million worldwide. A total that is made all the more impressive when considering that it was going up against Star Wars: The Last Jedi. But favorable reviews and strong word of mouth, coupled with nostalgia, helped make the movie an unlikely mega-hit, which prompted Sony to get working on this third entry as quickly as possible. Luckily, the busy cast was able to make this fit into their schedules. Dwayne Johnson is currently filming Fast & Furious Presents: Hobbs & Shaw. Amazingly, what started out as a picture book by Chris Van Allsburg has spawned a billion dollar franchise that started with the original 1995 Jumanji, which starred the late Robin Williams and was directed by Joe Johnston. Now, more than 20 years later, we're set to get a third entry that could wind up being one of the biggest blockbusters of 2019. Jumanji 3 is currently scheduled to hit theaters on December 13. We'll be sure to keep you posted as any further details on the project are made available. This news was previously reported by The Hollywood Reporter.